France. 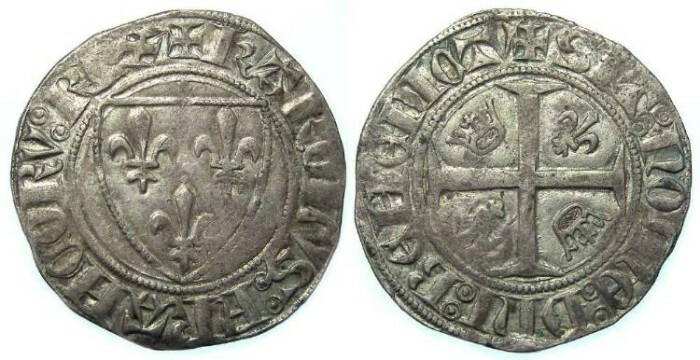 Charles VI, AD 1380 to 1422. Blanc Guenar. Denomination : Blanc Guenar. Mint : Olong. Date : 1st emission starting 11th March 1385. Size : 25.4 x 26.2 mm. Weight : 3.12 grams. Grade : gVF, with a pretty nice strike for the type.